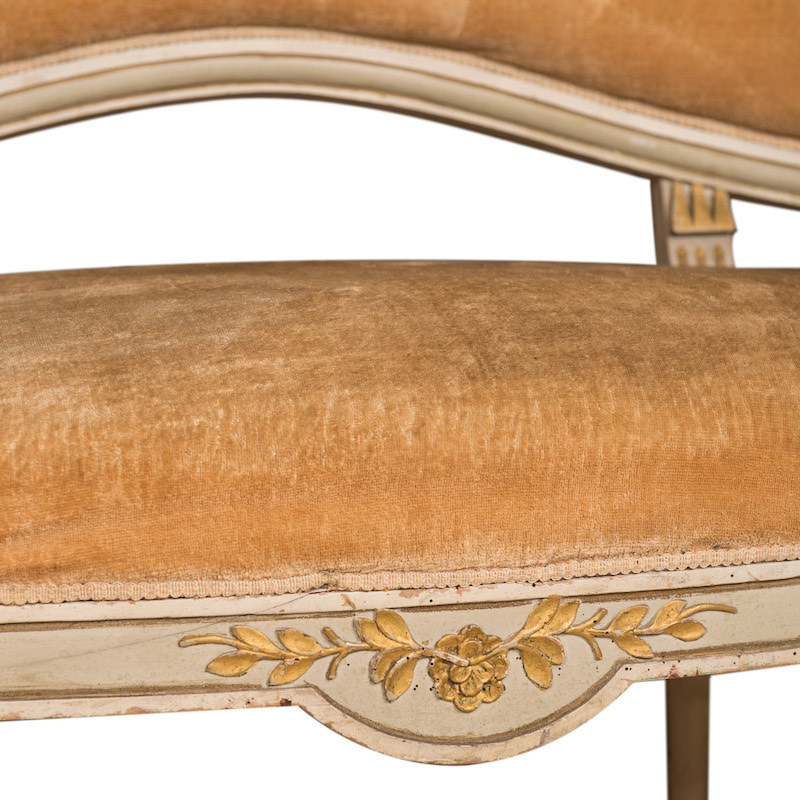 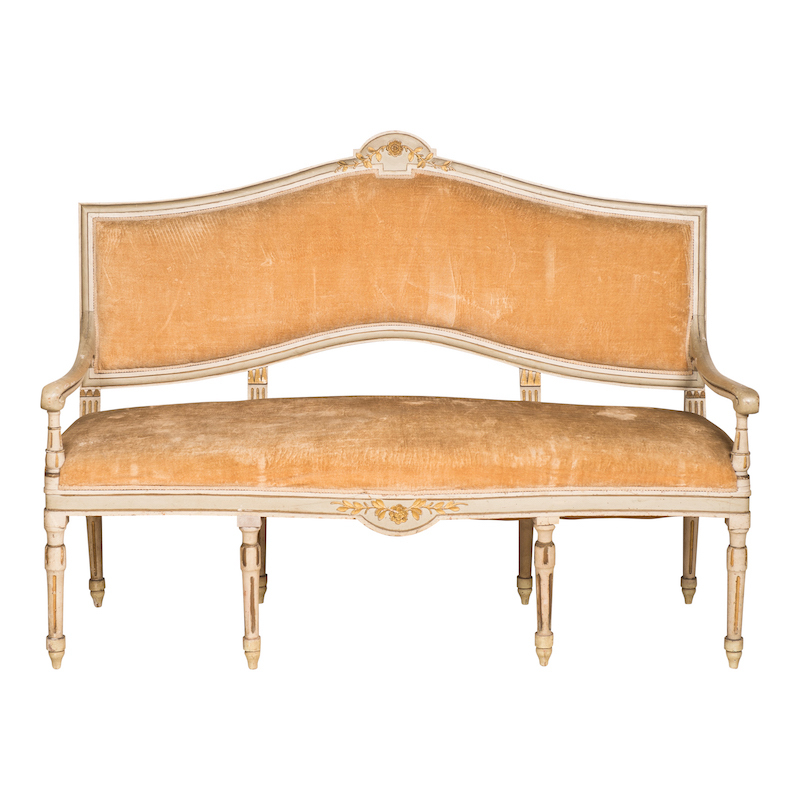 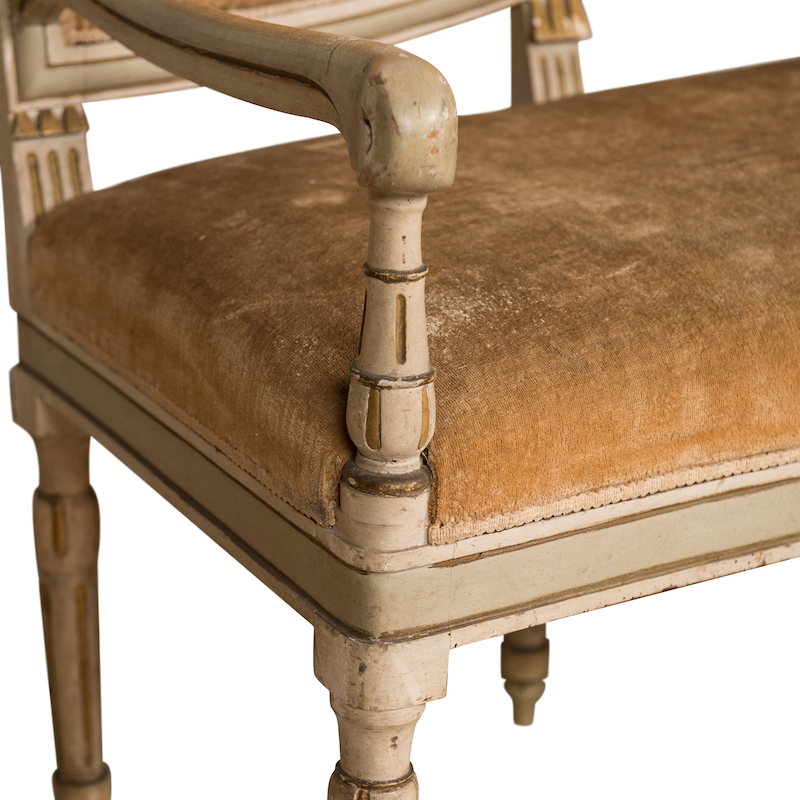 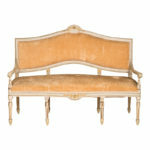 Vintage French settee with light orange upholstery. 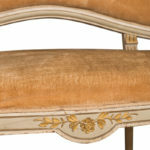 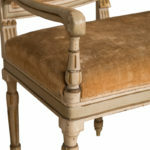 Features fluted legs and gold floral details. 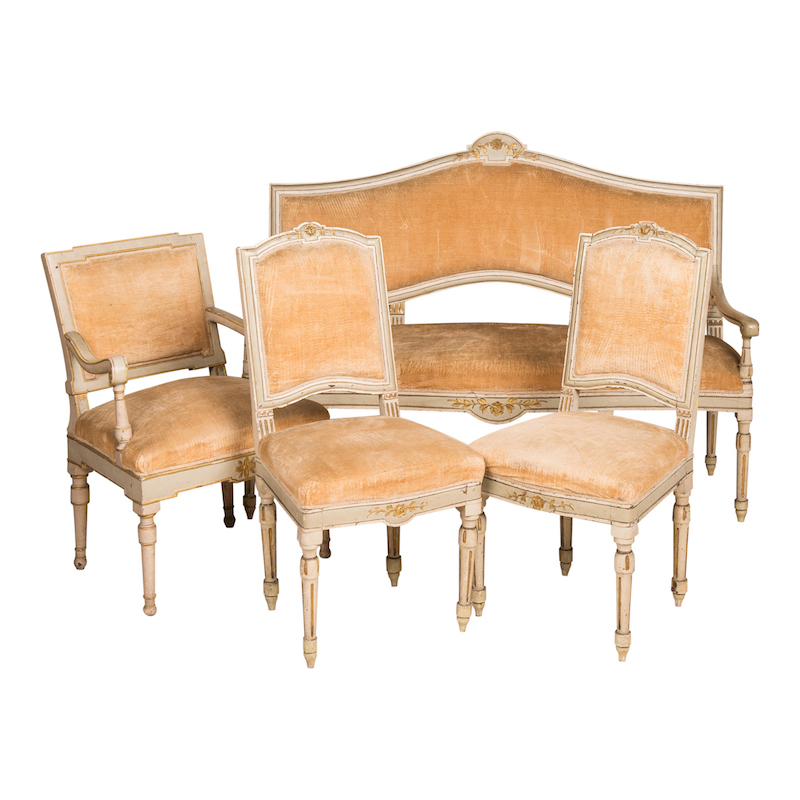 Perfect for dining height. 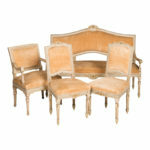 Matching set to the Imperial Armchair and Imperial Chairs.